Autumn Inspiration for Your Front Porch! 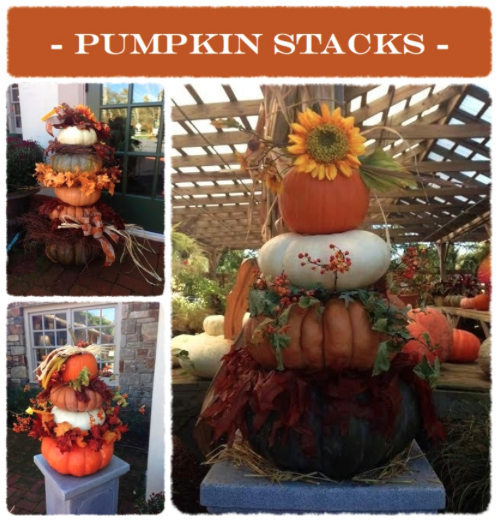 The fall season is a favorite here at Matlack Florist! It is marked by the arrival of vibrantly-colored mums, pumpkins of all shapes and sizes, cornstalks, straw bales and so much more fun fall harvest decor. With so many elements to this season, there are oh so many ways to create beautiful home displays that stretch from the first day of fall through the Thanksgiving holiday! 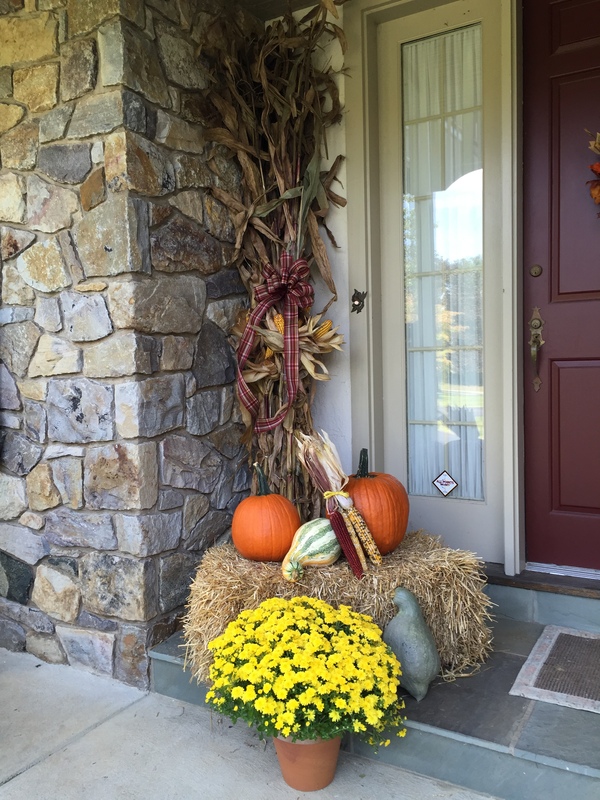 Whether you are looking for ideas to entice trick-or-treaters or to welcome family and friends into your home for a holiday feast, read on to find the perfect festive fall decor ideas for your front porch! There are certain autumnal elements that really bring the season in for us. This front porch display includes them all: Cornstalks accented with a Fall Bow, a 9″ Mum in a Clay Pot, and Pumpkins, Gourds and Indian Corn all sitting atop a Straw Bale. When all of these elements are gathered and displayed together, what you get is the perfect fall display! This beautiful window box includes the perfect balance of mums, ornamental peppers, kale, sweet potato vine and a mix of mini pumpkins and gourds. We added a decorative metal coneflower accent for the final touch! 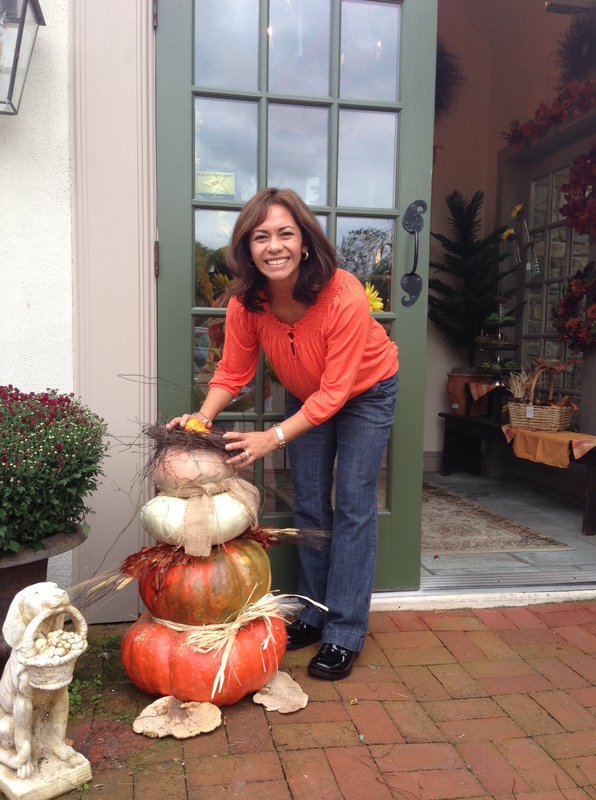 Continue reading Autumn Inspiration for Your Front Porch!